Two years ago, Tachibana Junichi got his heart broken by a girl who didn’t show up for a date on Christmas Eve. Now a second year student in high school, Junichi spends his days inside his closet planetarium, going to school and hanging out with his friends Tanamachi Kaoru and Umehara Masayoshi. 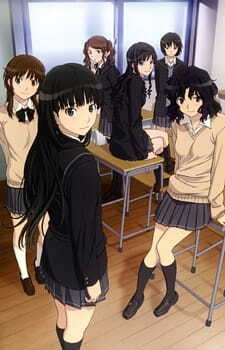 Amagami SS is based on a PS2 dating game featuring six different girls. The story of the anime will be arranged in an omnibus format, with each heroine getting her own version of the story animated. Each heroine will sing her own version of the ending theme song. In this fun, light-hearted Special episode, Miya Tachibana attempts to figure out why her weird and slightly perverted older brother (Junichi) has such a friendly relationship with many of the girls in his school, yet can’t manage to find himself a girlfriend. Fearing he might become a bum later in life and lose his job, she decides to stalk him to find out if there’s more to him than what she sees at home. 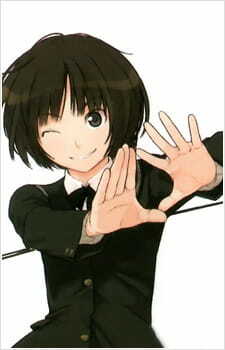 The episode is titled "Sister” and is available only on Blu-Ray in Volume 13 of the Amagami SS anime series.